Govt asked to reconsider decision to cut security staff | Daily Express Online, Sabah, Malaysia. 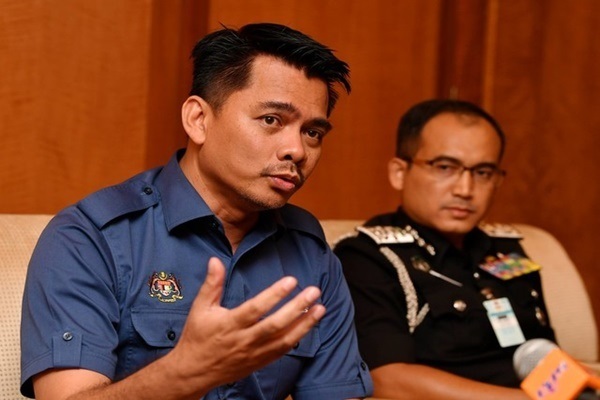 JOHOR BARU: The Government has been asked to reconsider the intention to reduce the number of civil servants in the security sector, according to Deputy Home Minister Datuk Mohd Azis Jamman (pic). He said this was because security is a very important sector and matters related to national security should never be compromised. “I was made to understand that the Government has announced its intention to reduce the number of civil servants, but I do hope, if possible, and if I’m allowed to express my opinion, that the Government could reconsider this because security is something that we cannot compromise. ”If we have a shortage of security members, it will jeopardise our national security. In fact, even as we speak, we are facing (security) staff shortage,” he told a press conference after visiting the Customs, Immigration and Quarantine Complex at Bangunan Sultan Iskandar (BSI), here, Monday. Also present were Immigration Director-General Datuk Khairul Dzaimee Daud, Johor Immigration Director Datuk Rohaizi Bahari and Johor Customs Director Muhammad Hamiddan Maryani. Azis said there was also a shortage of security staff at the BSI and the Sultan Abu Bakar Complex (KSAB), both of which are the main entry points to the country in Johor which recorded approximately 326,000 entries on daily basis. “About 2,000 Immigration security staff are taking turns manning the two entry points every day, but the number is still insufficient as 75 per cent of visitors arrivals to Malaysia were recorded at the two complexes.